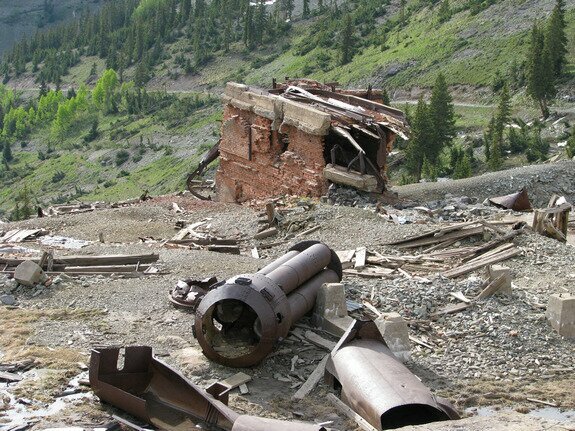 Tomboy is one of the more impressive ghost town sites. 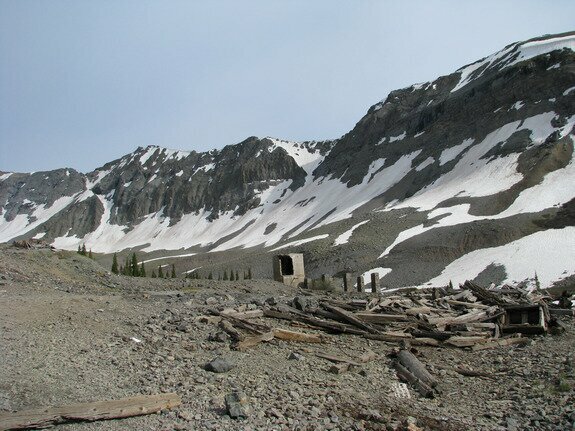 It�s easy to get to with 4WD, and not too bad for the determined hiker. And by determined, I mean adjusted to the thinner air. 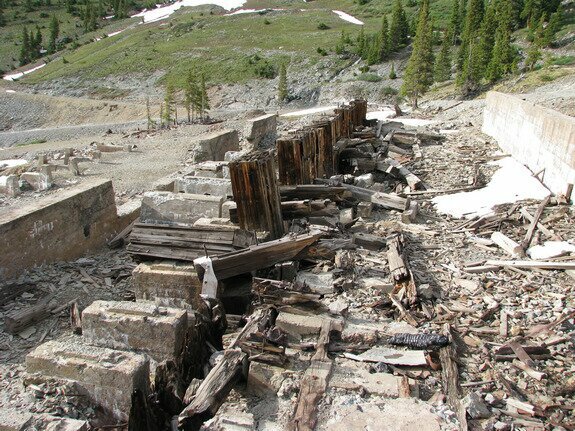 At 11,500 ft, it�s one of the highest ruins in the US. 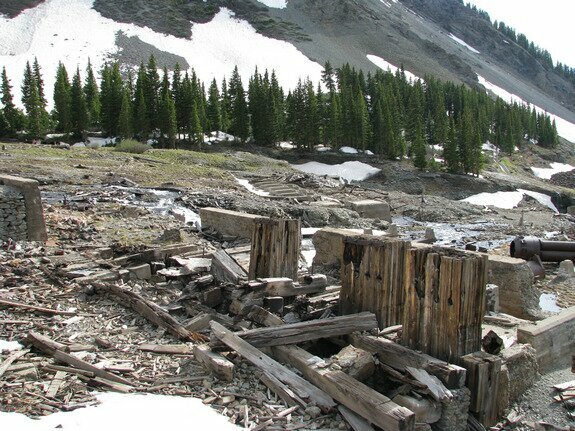 It also boasted some modern facilities that you wouldn't expect to exist in a late 1800s era mining camp. At one time, there were tennis courts and a YMCA. 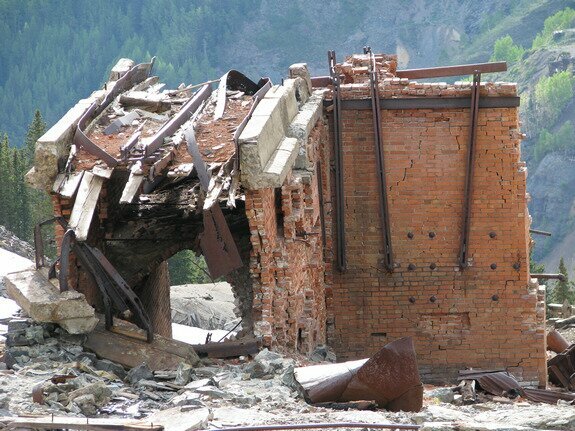 Although few buildings remain standing, the collapsed remains of others and foundations are everywhere. 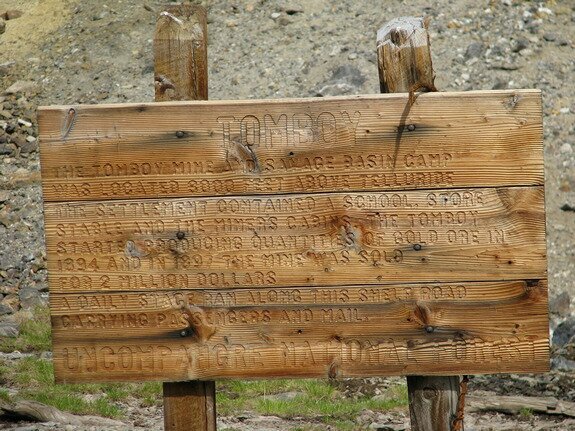 Originally called Savage Basin Camp (for being in Savage Basin), the mine itself was named Tomboy. 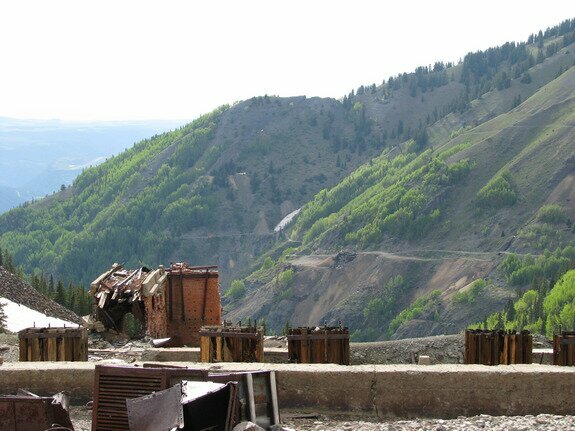 Eventually, the name of the town reflected the mine, and the workings at Tomboy continued until 1928. 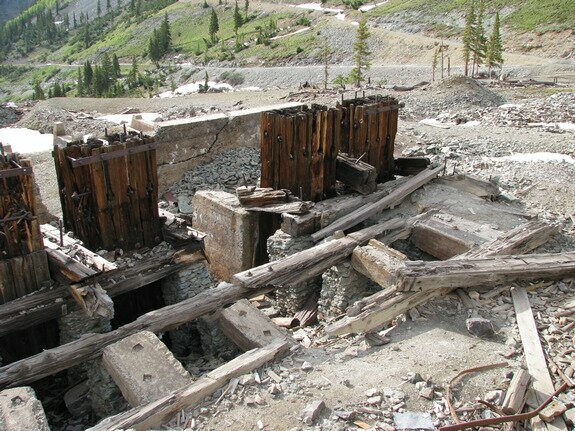 The mine tunnels themselves continued to be worked until 1978. 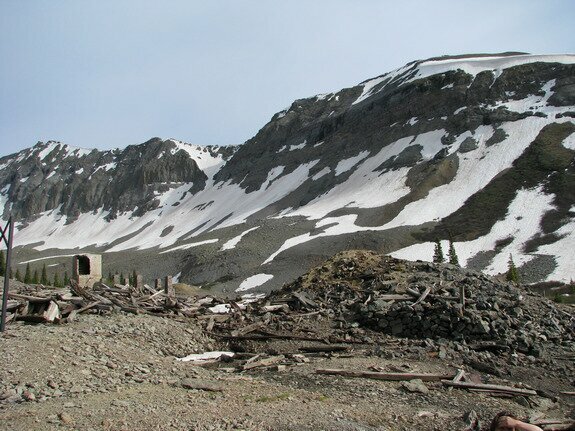 An interesting story told by the Telluride locals is the "Social Tunnel" along Tomboy Road. 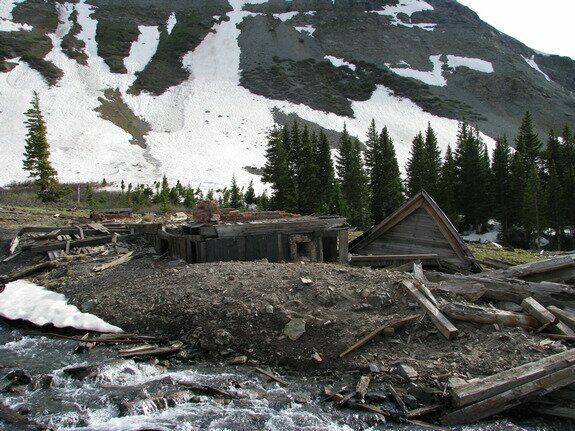 The lonely miners would meet women from Telluride at the Social tunnel, a halfway point. There, things of a "social" nature would occur. Displaying Tomboy photography page 1 out of 2. Date Taken: 2008:06:23 18:04:49 Want to use this image? See the More information tab. Informational sign by the Uncompahgre National Forest. Date Taken: 2008:06:23 18:05:06 Want to use this image? See the More information tab. Date Taken: 2008:06:23 18:05:39 Want to use this image? See the More information tab. Date Taken: 2008:06:23 18:07:10 Want to use this image? See the More information tab. Date Taken: 2008:06:23 18:07:21 Want to use this image? See the More information tab. Date Taken: 2008:06:23 18:07:36 Want to use this image? See the More information tab. Date Taken: 2008:06:23 18:07:57 Want to use this image? See the More information tab. Date Taken: 2008:06:23 18:09:48 Want to use this image? See the More information tab. Part of a boiler assembly, I believe. Date Taken: 2008:06:23 18:09:54 Want to use this image? See the More information tab. Date Taken: 2008:06:23 18:12:57 Want to use this image? See the More information tab.